Clara Campbell joined IJM's Government Relations team in 2013. She is the proud keeper of The Freedom Commons, and specializes in crafting the team's digital communications, including social media. Clara is excited by the possibilities the web represents, and continuously seeks to discover and leverage new digital tools and strategies to support and grow organizing and advocacy initiatives. Prior to joining IJM, Clara worked with the University of Oxford as Communications and Operations Manager. She holds a B.A. in International Relations from Calvin College. Eileen Campbell launched IJM’s Justice Campaigns program in 2008. 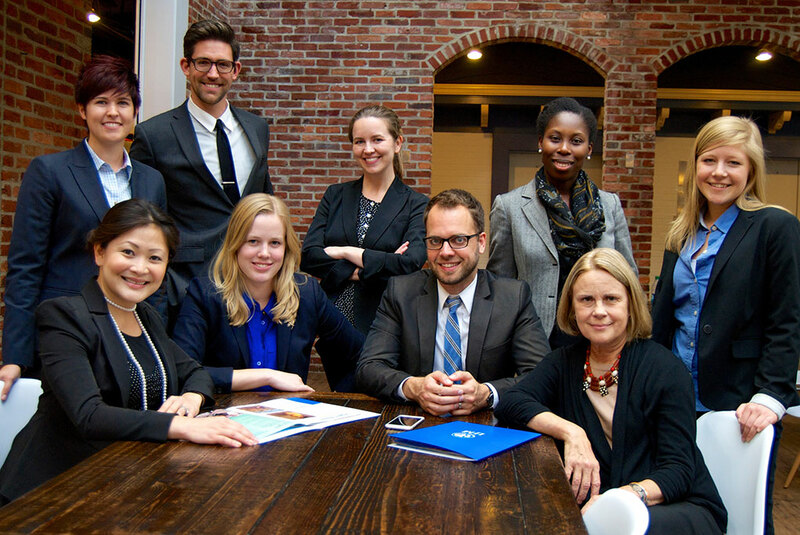 She oversees IJM’s U.S. advocacy campaigns and advises IJM field offices on advocacy program design. Prior to joining IJM, she worked with Physicians for Human Rights as Coordinator of the Health Action AIDS campaign, mobilizing health professionals in support of a comprehensive U.S. response to the global HIV/AIDS pandemic. At Physicians for Human Rights, Eileen also served as Grassroots Coordinator for the U.S. Campaign to Ban Landmines, a coalition of organizations working to persuade the U.S. government to join the Mine Ban Treaty. She holds a B.A. from the University of Rochester and a Masters in Divinity from Harvard University. Erica Boonstra joined the Government Relations team at IJM in January 2009 and helps manage IJM’s advocacy campaigns by tracking campaign metrics, developing advocacy resources, and working with constituents around the country to fight against modern-day slavery. Prior to joining IJM, Erica worked in marketing for Team World Vision in Chicago. She holds a B.A. from Calvin College in International Development Studies and English, and a Masters in Public Administration from American University. Holly Burkhalter leads IJM’s efforts to mobilize the anti-trafficking movement within U.S. government policy and leadership. Before joining IJM, Holly most recently served as the U.S. Policy Director of Physicians for Human Rights. Prior to joining Physicians for Human Rights, Holly worked with Human Rights Watch for 14 years as Advocacy Director and director of its Washington office. Previously, Holly staffed the House Foreign Affairs Subcommittee on Human Rights and International Organizations from 1981 to 1983. From 1977 to 1981, she worked for Representative (now Senator) Tom Harkin, D-IA. Kate mobilizes advocates in Alaska, Arizona, California, Nevada, Hawaii, New Mexico, Utah, Idaho, Oregon, Washington, and Montana. Prior to her current role, she served as an Advocacy Organizing fellow and as an intern with IJM’s Government Relations & Advocacy department. Her passion for mobilizing advocates developed at both the state and national levels while assisting in the organization of IJM's Advocacy Summit in D.C. in 2012, and while executing IJM’s first state lobby day in California. She finds great joy in equipping every-day citizens with tools to engage with their government. Kate is a graduate of La Sierra University with a degree in Global Studies. Opa joined the GRA team in August 2014. She provides executive-level support to Holly and manages our advocacy postcard campaign. She comes to the GRA team from IJM's Justice Operations division where she served as the Executive Assistant to the SVP of Justice Operations since January 2014. Prior to IJM, Opa worked as the Mission Advancement Coordinator for the YMCA of Metropolitan Washington, working with Advancement Directors to build donor relationships and increase giving. She holds a B.A. in Political Science from Bennett College. Seth Wispelwey works to broaden opportunities and deepen relationships with people looking to become effective advocates against modern-day slavery. Previously, Seth worked as a regional grassroots organizer with the ONE Campaign, Bread for the World and Boston Faith & Justice Network, collaborating with others to transform legislation and better serve the needs of the poor and marginalized. He holds a Master’s in Pastoral Ministry from Boston College and B.A. in English from the University of Virginia.